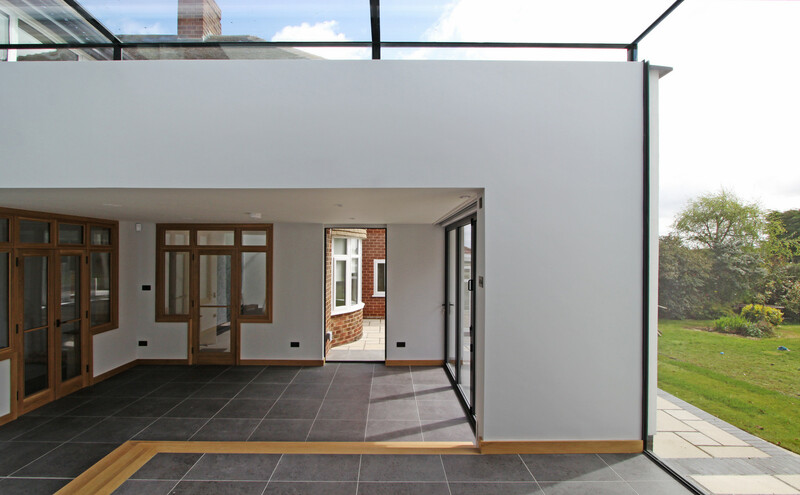 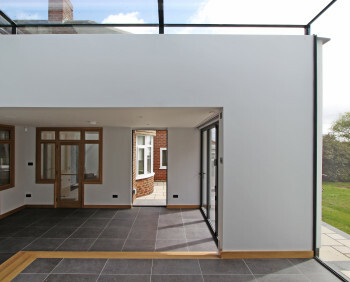 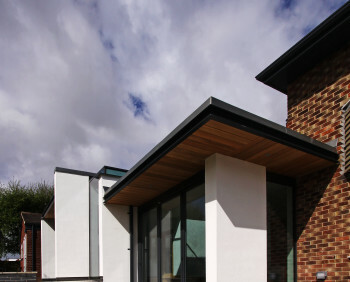 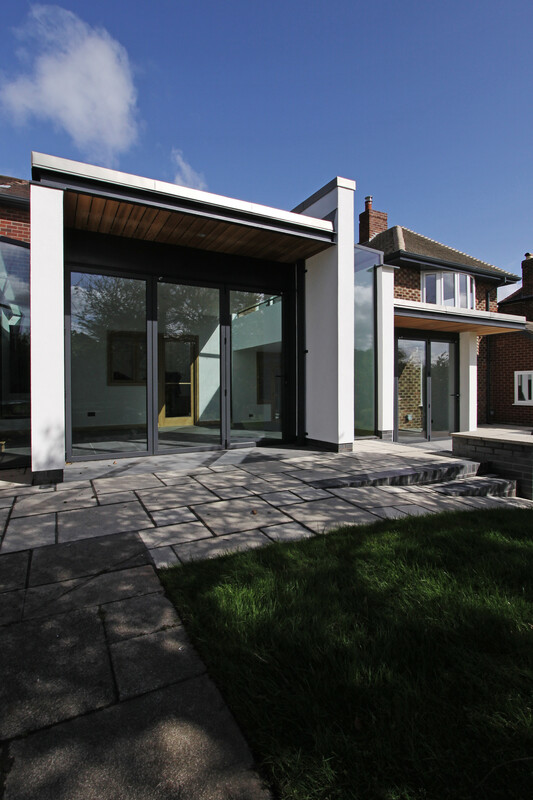 This contemporary design adds a new dimension to a traditional family home. 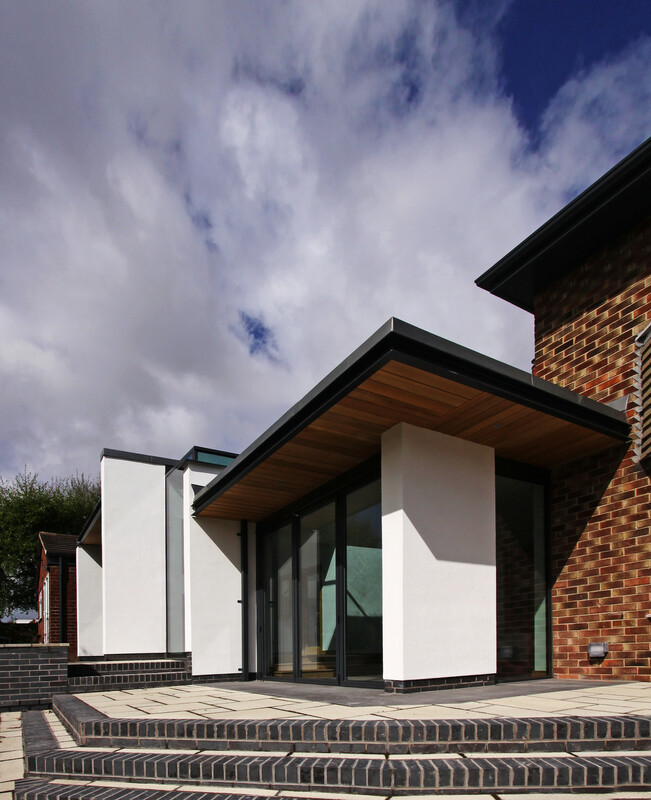 Orginally two detached houses, that have been combined to create a truly modern living environment. 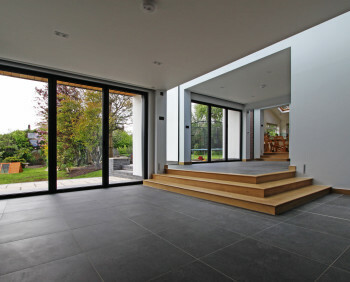 Lots of natural light floods the space, whilst porcelain tiles contrast with the warm tones of natural oak internally. 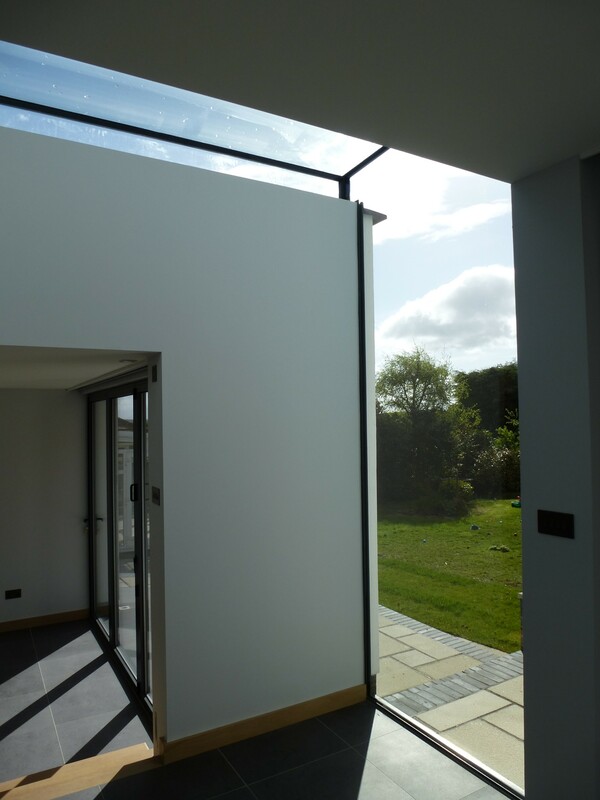 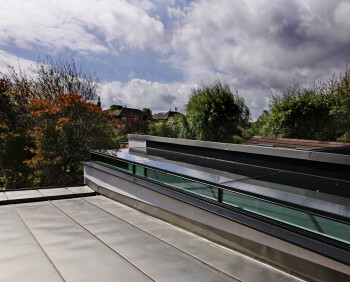 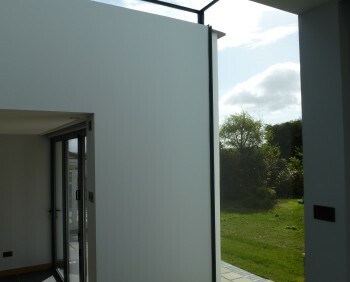 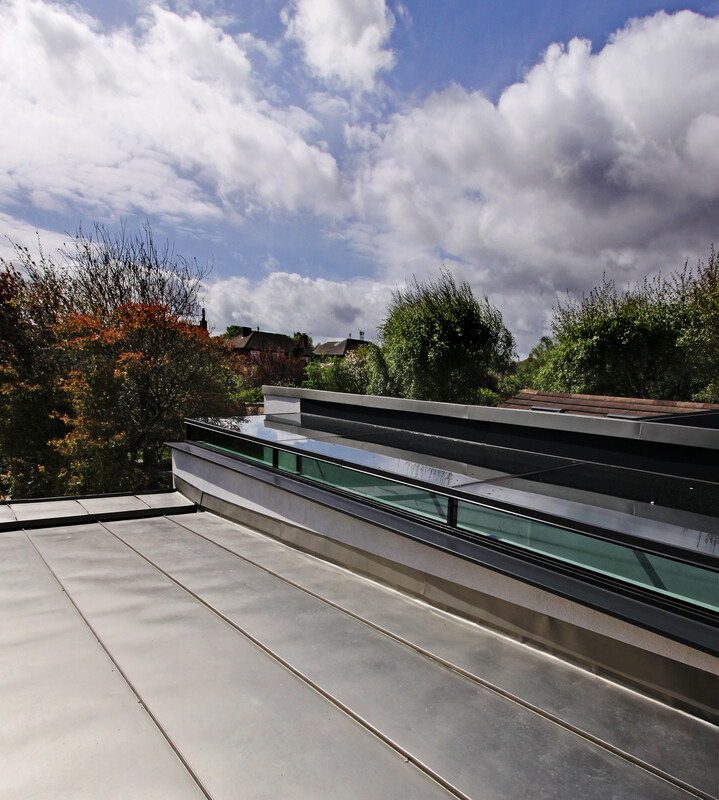 A sleek zinc roof with sparkling white rendered external walls give a sharp dimension that is design led. 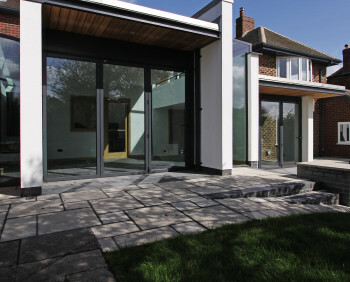 Glass bi-folding doors provide a seamless divide between inside and out as you relax in the paved patio areas. 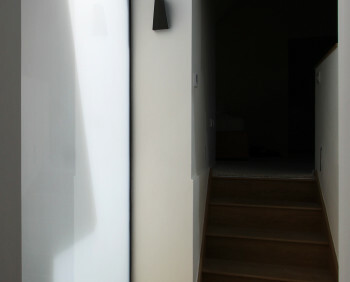 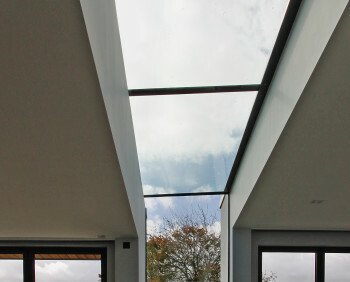 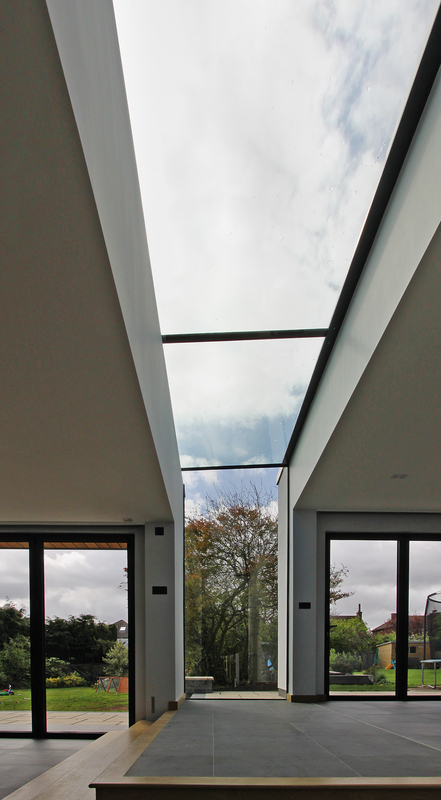 Further internal works include a suspended glass walkway connecting the master bedroom in one house to a walk-in wardrobe in the next. 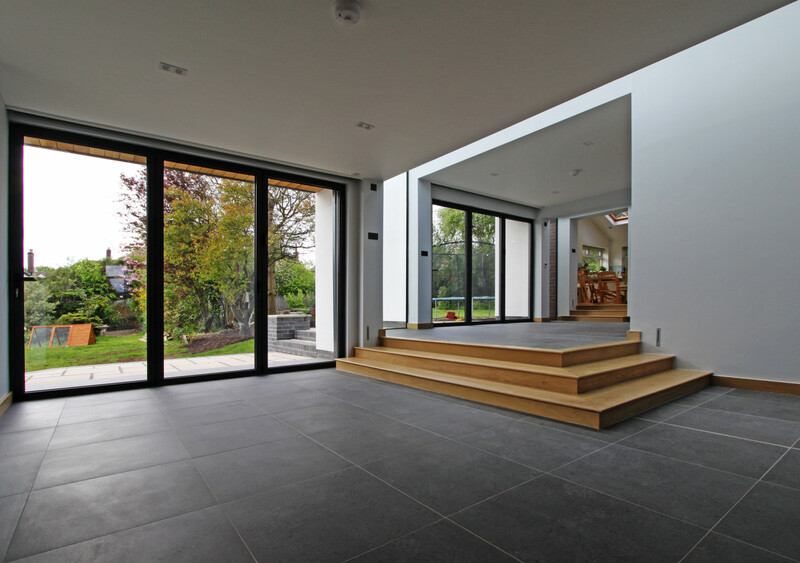 A fully tiled wetroom adds that final touch of luxury to this superb project.